That’s right: our lucky members got to taste test all the fun stuff. Our chocolates, biscuits and other indulgences are cult favourites for a reason, and our members found out why. "I think these would be great for parents of young children. A small snack for them occaisionally and can be kept in the cupboard." – Tanya, 50, Clontarf, QLD. "Grandkids and adults loved them. Conveniently wrapped and tasty." – Dianne, 66, Forest Lake, QLD. 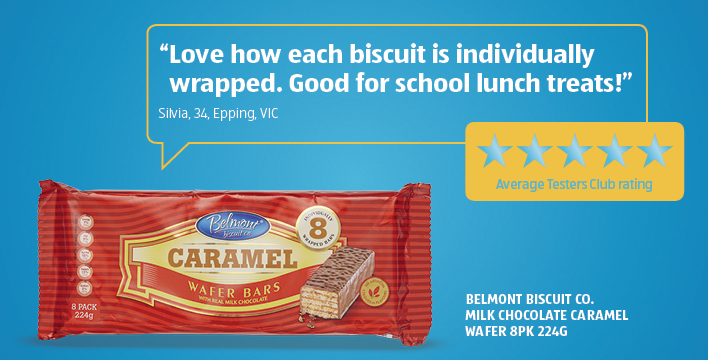 "The whole family loved this product as a treat, a snack, in lunch boxes as a desert - it has multiple uses, a great taste and texture. Pleasing all round. Only disappointment was when the pack ran out !" – Odette, 44, Mount Colah, NSW. "Great individual packaging for freshness. Great for travelling and bike riding. Tasted great." – Derek, 54, Jane Brooke, WA. 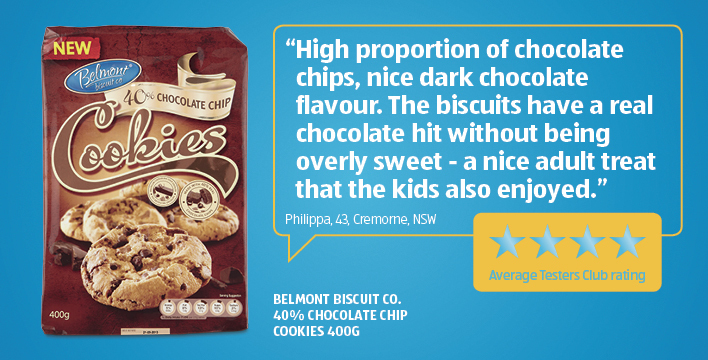 "Great cookies, has heaps of chocolate chips and my kids loved them." "These cookies are so tasty and choc full of chocolate. Well packaged also, so no breakages. They are very well priced as well." "I love these. I'm not normally a fan of buying biscuits (because I could make them myself) however these were so chocolatey and tasted amazing. I plan on buying a packet of these and passing them off as my own I liked them so much I'm willing to put my name to them." "Lots of chocolate chips. Good quality biscuit. Soft and crunchy at the same time. Kids loved them. Stayed fresh for a long time in a sealed container." "I love these little guys. I keep them in both our cars and carry them at work. I love the robust storage tin. It survives my young kids and my wife's handbag." 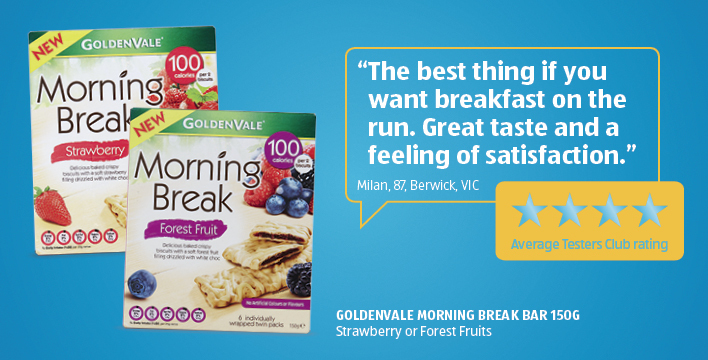 "Perfect flavour left mouth really fresh." 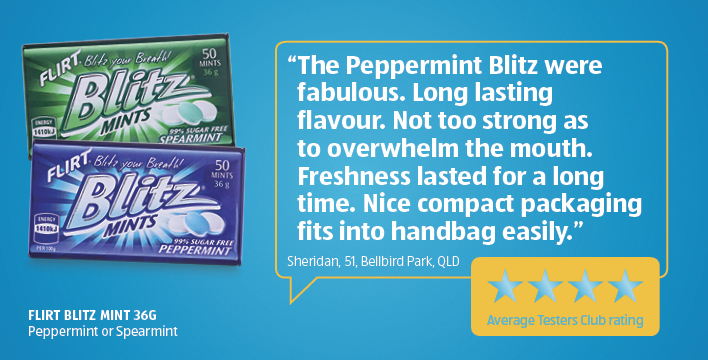 "Very refreshing, not too sweet, ideal to carry in my handbag. Our friends liked them." "Bonus Australian made. Not only Australian but it was cheaper than all other similar products and great taste. It has a nice flavour and leaves a nice fragrance in my mouth and breath smelling nice. It's so refreshing." "The biscuits had a crunchy biscuit centre with an excellent coating of milk chocolate." "We have been buying these for years! Taste much better than the 'big brand' version. Chocolate is a lot smoother and you can really taste the cocoa!" "They really were 'just divine', the whole family enjoyed them." "This is a great item, we all loved this item. Tasty and full of chocolate goodness." "Creamy, silky, indulgent milk chocolate encasing whole hazelnuts - hard to stop at one piece - delicious!" "Fabulous smooth tasty chocolate full of crisp hazelnuts — a real treat." 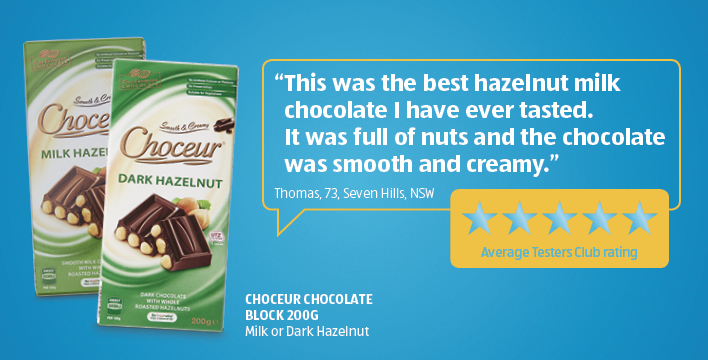 "The dark hazelnut variety is up there with one of the best chocolates I've ever eaten. I've purchased more since testing. 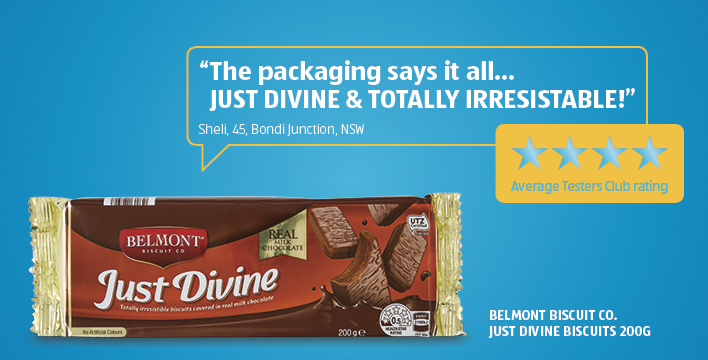 Great far chocolate flavour and plenty of nuts." 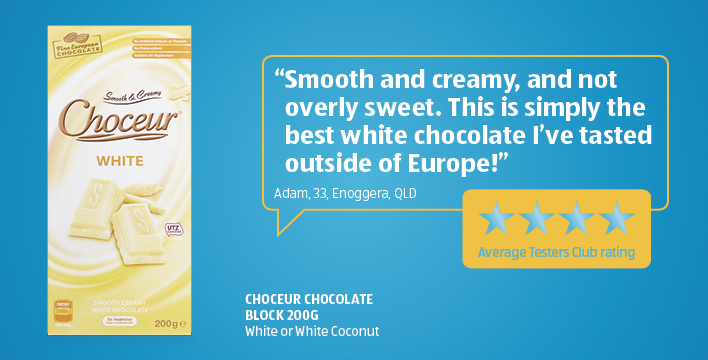 "Great quality chocolate, crunchy hazelnuts, nice packaging — overall a great product." "Great product so smooth, rich & indulgent. Fabulous quality!" "New favourite chocolate in our house! It has been snuck into our trolley every shop since testing this! The white coconut with cornflakes is so jam packed with flavour and texture we just kept going back for more." "I like spoiling my wife with this little present." "This chocolate is delicious! It was gone within a day of opening it. It's the best white chocolate I've ever had. So more-ish." "I gave this five stars because there's no option to give it six stars..... Strawberry Morning Break.... agh .... fantastic with either tea or coffee, or a chilled glass of full cream milk....."
"Quick and easy snack or breakfast, the kids loved them, full of taste and reasonable calorie intake too." "This was a delightful thin biscuit...the filling was not too sweet and the biscuit was crunchy and the topping just finished it off." "Another great product which I will be purchasing again. We had the forest fruit flavour and it was loved by the whole family. 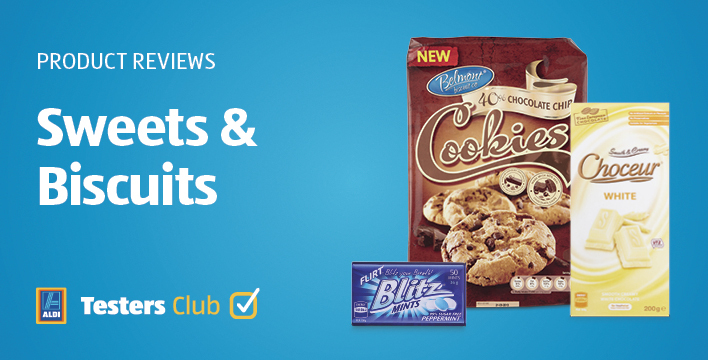 We found them great for a road trip snack." "Lasted about two minutes in our house. Family loved it." 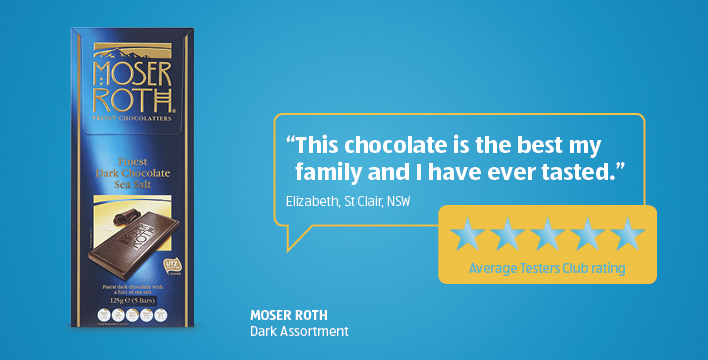 "Smooth, velvety texture with an intense chocolate flavour - high quality and delicious." "Delicious dark European chocolate. This tastes like expensive chocolate."